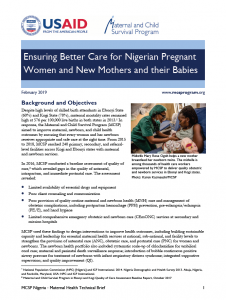 MCSP aimed to improve maternal, newborn, and child health outcomes in Nigeria by ensuring that every woman and her newborn receives appropriate and safe care at the right time. 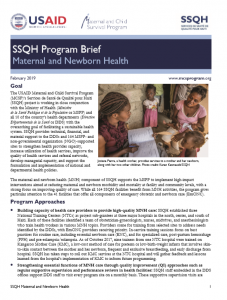 From 2015 to 2018, MCSP reached 240 primary, secondary, and referral-level facilities across Kogi and Ebonyi states with maternal and newborn services. 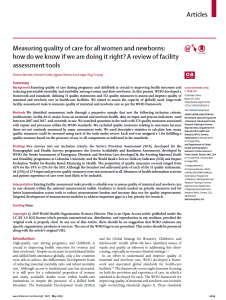 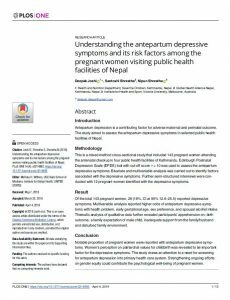 In 2016, MCSP conducted a baseline assessment of quality of care, which revealed gaps in the quality of antenatal, intrapartum, and immediate postnatal care. 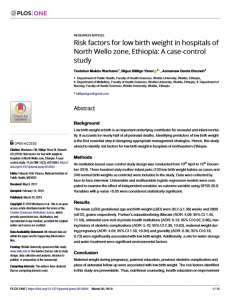 MCSP used these findings to design interventions to improve health outcomes, including building sustainable capacity and leadership for essential maternal health services at national, sub-national, and facility levels to strengthen the provision of antenatal care (ANC), obstetric care, and postnatal care (PNC) for women and newborns. 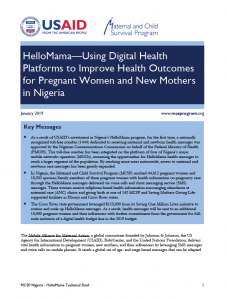 Access the original brief and any supplementary material here.